Stem cells are undifferentiated cells of multicellular organisms that have the ability to develop into more cells of the same kind from which other types of cells form through differentiation. Stem cells act as a special type of internal repair system in many tissues by dividing accordingly without limit for purposes of replenishing other cells. They have the potential to remain the same or form into another type of cell when they divide. As the name suggests, embryonic stem cells are obtained from embryos. This type of stem cells require specific signals for them to differentiate into specific cell types. They are secluded from the inner cell mass (of blastocysts of pre-implantation stage embryos). This type of stem cells are found in many types of tissues in the body i.e. the bone marrow, brain, blood, skeletal muscles, liver and skin. Adult stem cells are less controversial than embryonic stem cells mainly because the cells can be produced without the destructing an embryo. Furthermore, the stem cells are acquired from the intended recipient via an autograft which reduces immune rejection risks. Induced pluripotent stem cells are useful in drug development as well as modeling diseases today although additional research is needed. Stem cells have distinct characteristics that differentiate them from regular cells. One, stem cells are unspecialized and capable of renewing themselves via cell division even after prolonged periods of inactivity. Two, they can be induced into tissue/organ-specific cells which perform specialized functions. What is stem cell therapy?Stem cell therapy can be defined as the use of stem cells to prevent or treat a disease or medical condition. The treatment is usually administered via injections. A perfect example of stem cell therapy is bone marrow transplant. Other examples include; therapies that utilize umbilical cord blood. How are stem cells extracted?Stem cells are extracted or collected for transplant depending on the source. 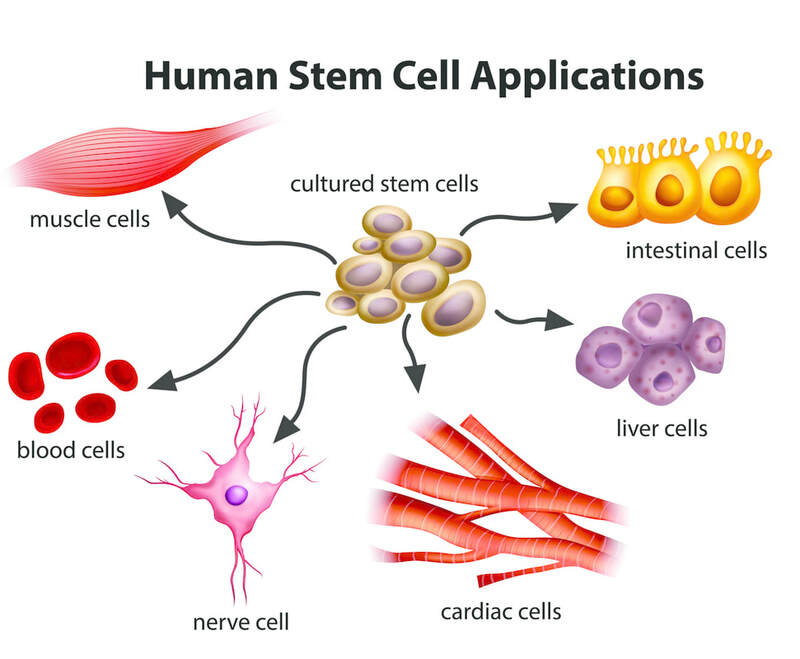 Stem cells can be collected from the bone marrow, umbilical cord blood, circulating blood, etc. The bone marrow is a popular source of stem cells since this is where they are most concentrated in the body. When extracting stem cells (from the bone marrow), a special needle reaches into the bone marrow in the pelvic bone. The pelvic bone has the highest amount of active bone marrow in the body. The entire process is surgical and takes one to two hours. A general or spinal (epidural) anesthetic is used. The amount of marrow harvested depends on factors such as; the concentration of stem cells as well as the donor’s weight. Approximately 1 to 2 pints of marrow is extracted in most cases. 1. Potential to reverse diseases: Stem cells offer a renewable source of new replacement cells for individuals suffering from diseases like Parkinson’s, heart attack as well as genetic defects that cause cell damage or defects. Many diseases that were hard to treat or incurable in the past can now be treated using stem cell therapy. 2. Speeds up healing: Stem cell therapy has been found to reduce the amount of time it takes for injuries to heal. 3. Reduces pain: It’s less painful to treat conditions such as chronic joint pain using stem cells. 4. Increases functionality: Stem cell therapy also increases flexibility and range of motion when used to treat joint pain. 5. Stem cell studies have shown that the treatment reduces muscle compensations as well as the risk of injuries in the future. 6. Stem cell therapy has also been found to prevent hair loss and the formation of scar tissue when used to treat burns and wounds. 7. Stem cell therapy has also reduced over-dependence on conventional medicine. 8. Improved drug testing: Stem cells have made it possible to test pharmaceutical drugs safely before drugs can be used on animals and human models. Risks of stem cell therapyStem cell therapy is considered safe and effective. However, it’s worth noting that research is still ongoing. For this reason, treatment should be concentrated on conditions that have already been found to be curable safely with little to no risk. As a precaution, you must seek treatment from qualified medical practitioners only i.e. a physician who is qualified to offer stem cell treatments such as Celllora SCT medical team. This precaution is important given the existence of many unscrupulous medical practitioners who aren’t qualified to offer stem cell therapies.